← Stay Warm and Stylish All Winter Long! This holiday season, save on gifts for the whole family! If you’re feeling overwhelmed at the thought of getting your holiday shopping started, let us help! K12Rewards is a great place to start because we feature over 600 popular merchants, you can do all your shopping from the comfort of your home, and a portion of every purchase you make goes towards supporting your school. Make sure the tech-savvy individual in your family has the most up-to-date electronics by buying them the iPad Air, which is amazingly thin, light, and fast. Weighing only one pound, it’s the perfect device to bring with you on the go. And with Best Buy’s low-price guarantee and free shipping on order $25 and up, you know you’re getting a great deal. Do you have a lady in your life who loves make-up and fashion? Whether you’re buying for your wife, daughter, or sister, check out Sephora for great deals on the most popular trends in makeup. The Joy to the Girls makeup palette makes a fantastic gift, as it comes with 15 shimmery shades of eye shadow in festive names like Sugar Plum and Cookie Dough. Winter apparel always makes great gifts, too. Who doesn’t want to keep extra warm during the holidays? You can’t go wrong with this down jacket from The North Face, which is water-resistant and comes with an adjustable, detachable hood and a lifetime guarantee. And don’t forget about your feet! These Burberry rain boots from Bloomingdale’s are fun, fashionable, and will keep your feet warm no matter what the winter weather brings. 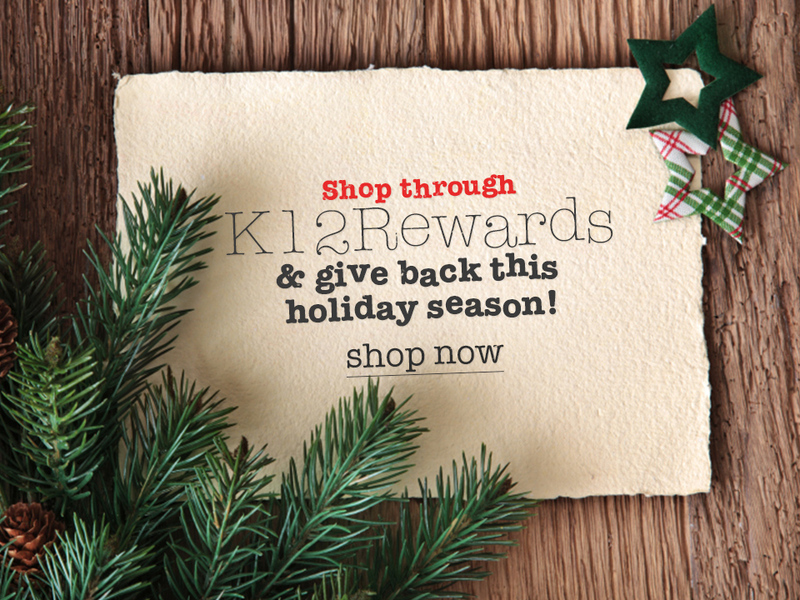 To get in the holiday spirit, head on over to K12Rewards today, and start crossing off that list! And don’t forget to follow us on Facebook, Twitter, and Instagram to stay in the know about all the best deals this season!